Will Your Next Ad Campaign Be This Impactful? There are ad campaigns. There are brilliant ad campaigns. 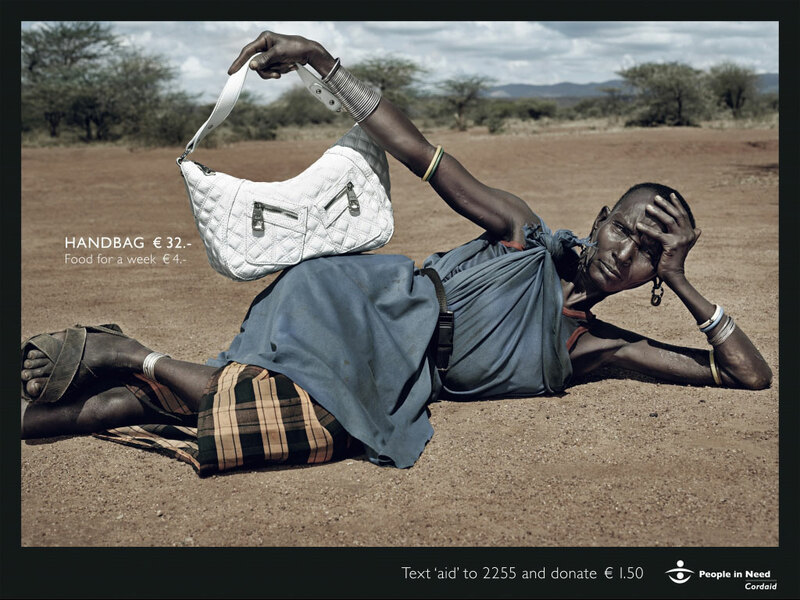 And then there are brilliant ad campaigns that make a massive impact for social responsibility. You know, the ones that put a fresh twist on a powerful message that shakes you, grips you, and forces you to reassess social norms you’d formerly taken for granted. Black and blue. Or was it white and gold? Or was half the world color blind? Or did it depend on whether you were standing under fluorescent lights? It was a genius move on Salvation Army’s part, brought to life by the Ireland/Davenport advertising agency. But would you love them so much if you knew where they came from? Human exploitation in the fashion industry, particularly of children, is no great secret. Brazil’s Abrinq Foundation drives their chilling point home, with their 25th anniversary Save The Children campaign. Top models participated in this PSA series created by Brazilian agency Lew’Lara\TBWA, wearing luxury outfits where children’s fingers clutch the prison bars created by fabric stripes. “A tunic shouldn’t cost a childhood,” the slogan reads. See more of the stunning print ads here. 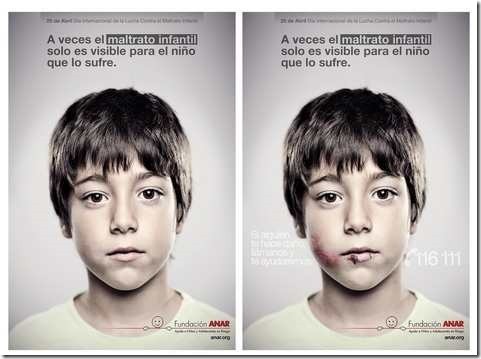 The long-lasting ad agency Grey Spain created this brilliant anti-child abuse campaign for the Anar Foundation in 2013. This series of ads utilized cutting edge lenticular printing that allows for the ad to look completely different depending on the viewer’s height. Adults would see the image on the left – an informative but innocuous awareness message. Children under 4’3 would see the image on the right, with a call to action and a number to call for help. This means the child gets the message even if their abuser is walking along holding their hand. Spring 2015, Fashion Revolution launched an awareness campaign about sweatshop conditions and cheap clothing manufacturers. Reality is that both ends of the fashion spectrum — couture, and cheap items — suffer from an epidemic of heinous working conditions and in some cases, slave labor. To make their point, they placed kiosks on busy Berlin streets, selling t-shirts for just 2 euros. Before the machine would dispense your purchase, you had to watch a video telling the story of the person who made it for you, and just how miserable their existence really is. It was a powerful, in-your-face message that resulted in no one wanting to buy the shirts. This stunning editorial campaign won Silver at Cannes Lions in 2007. Created for Cordaid, by Magnus Olsson at the ad agency Saatchi & Saatchi, it contrasts the costs for unnecessary Western luxuries with the costs of essential third-world life-sustainment such as food and water. These images simultaneously haunt and inspire. Your brand campaigns could be making a powerful social difference too. It’s all in how you craft them. Are These 5 Things Making You Fail At Online Networking?